Sometimes you need extra cash. We understand and we are here to help. 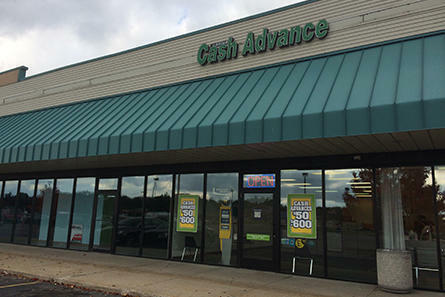 Allied Cash Advance can help keep you going until your next paycheck. We offer a wide range of financial options including payday loans and cash advances. Allied Cash Advance also offers Netspend® Prepaid Mastercard®. It’s easy to find our store on West River Valley Drive – we are conveniently located near Plumb's valu-rite foods. Our payday loans range in amounts from $50 to $600 in MI. We offer our customers the opportunity to apply online or in-store. + The process is quick and easy and you could get your money deposited into your checking account as soon as the next business day*.